We pride ourselves on dependable, honest and professional services with a growing number of repeat clients and customer referrals. We consider safety and the respect of client property our top priority. Customer satisfaction is our goal. Whether you need to prune your trees to remove dead or broken limbs or to remove a dead or hazardous tree for reasons of safety, AAA Tree Care has the equipment and the experience to efficiently take care of the job. We offer free evaluations of your tree care and landscaping needs. We will be happy to work around your schedule with evening and weekend appointments available. Call us to set up a time that is convenient for you. AAA Tree Care is dedicated to providing our customers with the safest and highest quality of work at a fair price while preserving the beauty, health and integrity of my environment. Sometimes a tree’s problems are so advanced that it needs to be removed. Removal is necessary when a tree is dead, hazardous, crowding, causing harm to surrounding trees or is being replaced for a more desirable tree. The Arborists at AAA Tree Care can help determine if tree removal is necessary. A properly pruned tree will stay healthier, improve the appearance and reduce failure in storms. Pruning service can include raising, thinning, center pruning, removal of large dead wood, demossing and improving the appearance of your trees. 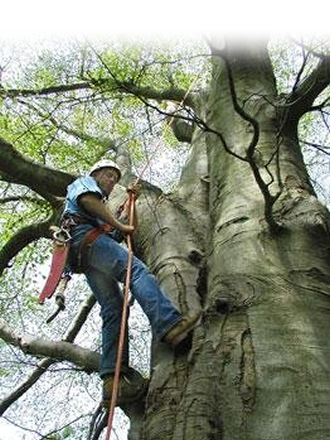 Tree Trimming & Ornamental Pruning, Tree Cabling, Tree Topping, Shaping, Dangerous Tree Removal, Root Pruning, Preventive Storm Pruning, Land Clearing, Wood Chips, and Evaluation. Steve was awesome! I have been meaning to write a review on this for some time. A little over a year ago we had our new Kitten get out a climb our 40+ foot star pine and she was there for hours. Yes we called the Fire Department who said “have you ever seen a cat skeleton in a tree”? Anyhow she was there all day it was around a 100 degrees outside and she had stopped crying. We had called many 24hr tree service companies and left messages to no avail. Finally we found AAA Tree Care. Steve was just closing for the day but said he would see if he could get one of his guys in the area out. He called me back in 10 minutes and said he had noone available and would come out personally. He was at the house in under 30 minutes geared up and started to free climb our tree, Lilly was scared and tired but crawled right into his chain bag and we had her back in our hands in about 30-40 minutes. This was late at night on a Saturday and Steve had family plans to get to. He could have said no or not answered his phone or charged us anything and we would have paid. But he was ridiculously reasonable for a late night emergency call to rescue a cat. Something that he did not have to do and he went out of his way to help someone he never met. Steve even called two days later to check on Lilly. Lilly is as happy as can be now and is the friendly neighborhood cat to all the kids. I know when it comes time for any landscaping around our house he will be the first person I call. I have done business with AAA Tree Care and Steven Stoekel for over 20 years and have known him to be honest and trustworthy when it comes to doing a great job the first time! I have called him over to my home on several occasions and it has been pretty late in the evening non-the-less Steven has come over and taken care of our sprinkler valve which was leaking and running down the driveway. Steven and his team fixed it with No Problem and helped us with his knowledge of landscaping, trees, pruning and just generally knowing what it takes to keep a plant alive. I trust his company AAA Tree Care of Ca with my entire home and recommend him to anyone considering his company for a service call. I have two Queen Palms on the patio of my condo that I needed trimmed. I suspect that the fronds hanging over the roof have been sweeping the rooftop gravel onto my patio which has been driving me nuts! I hadn’t maintained these trees in the two years I’ve lived here and figured it was time. I called around for some quotes and Steve’s was the only reasonable one. I would give 5 stars but the communication in the beginning was a little off. When he sent a guy to come look at my trees (same day I called), they called me 3 times and texted that if I give the go ahead right then, they’d trim them for $95. However, I was at work unable to pick up the call and they had already left when I called back. So, we scheduled for Saturday and he upped the quote to $100 to have to drive back. I thought that was a little silly, considering I wasn’t looking for same day service. He showed up on time, did a wonderful job, answered my questions and went above and beyond for me, cleaning my whole patio up from the gravel mess. They look wonderful and now I don’t have to worry about how icky they look- my neighbors are also probably relieved to not have to look at dead trees 🙂 I will be using AAA’s services for maintenance and possibly future landscaping.